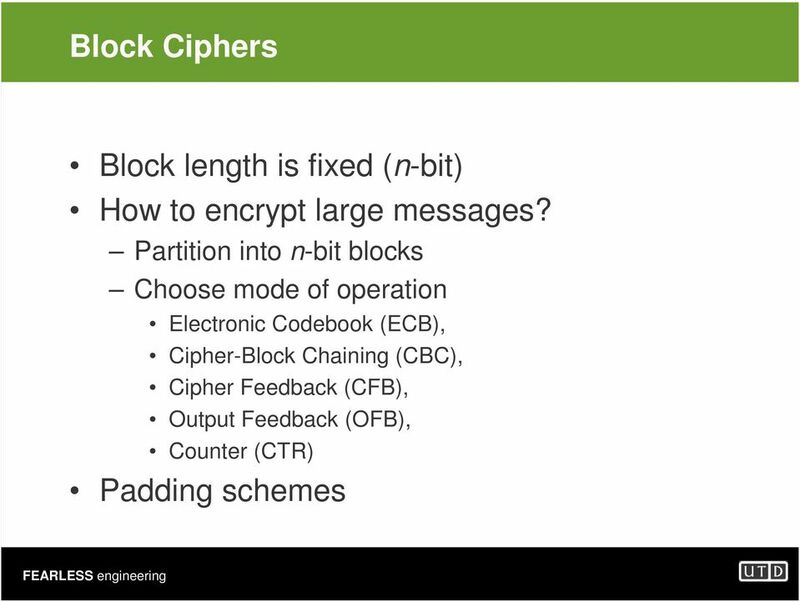 Download "Overview of Cryptographic Tools for Data Security. 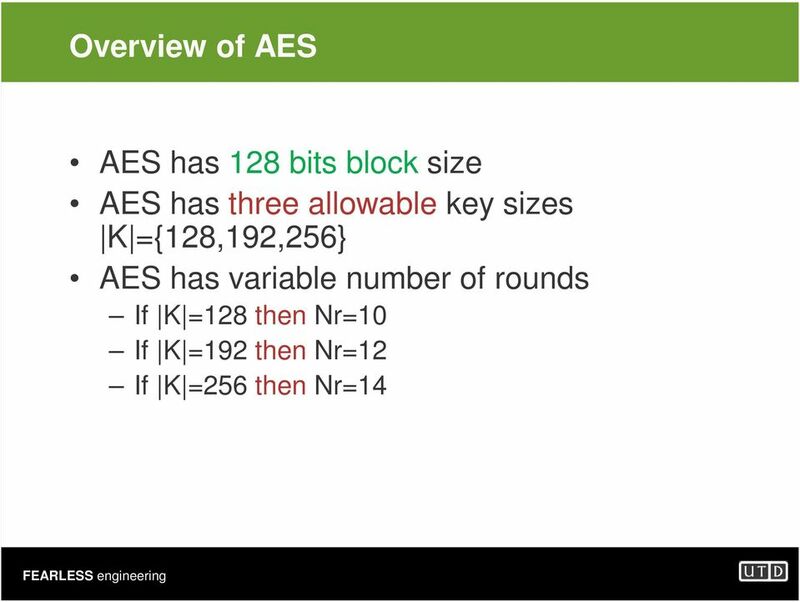 Murat Kantarcioglu"
6 History of AES Due to limitations of DES (small key and block sizes), NIST started a open process to select a new block cipher. 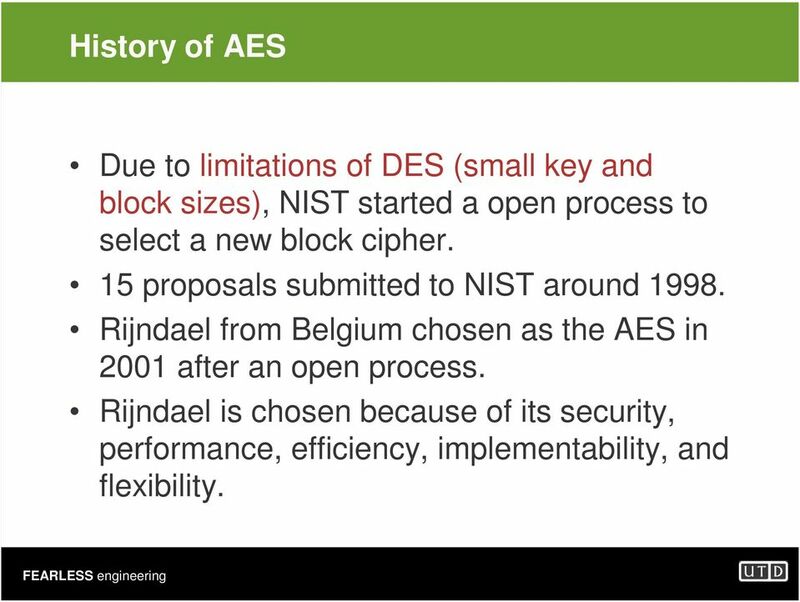 15 proposals submitted to NIST around Rijndael from Belgium chosen as the AES in 2001 after an open process. Rijndael is chosen because of its security, performance, efficiency, implementability, and flexibility. 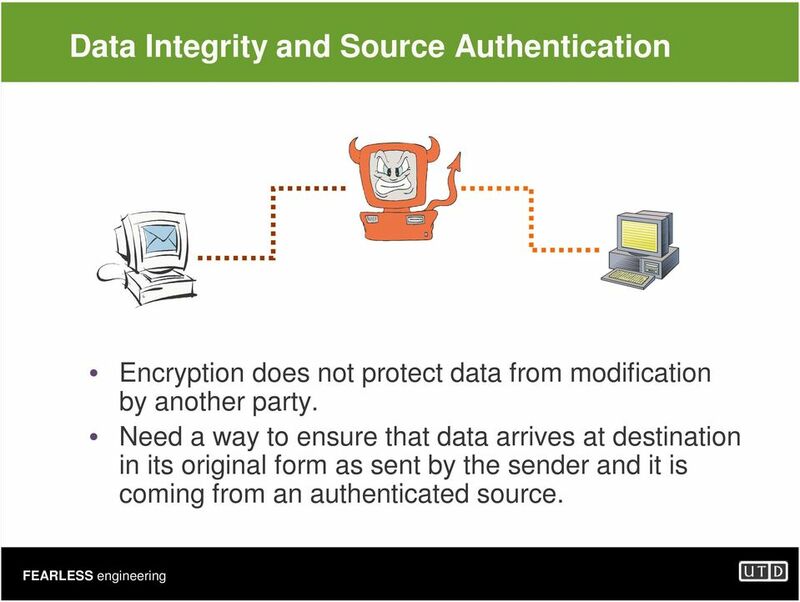 16 Data Integrity and Source Authentication Encryption does not protect data from modification by another party. Need a way to ensure that data arrives at destination in its original form as sent by the sender and it is coming from an authenticated source. 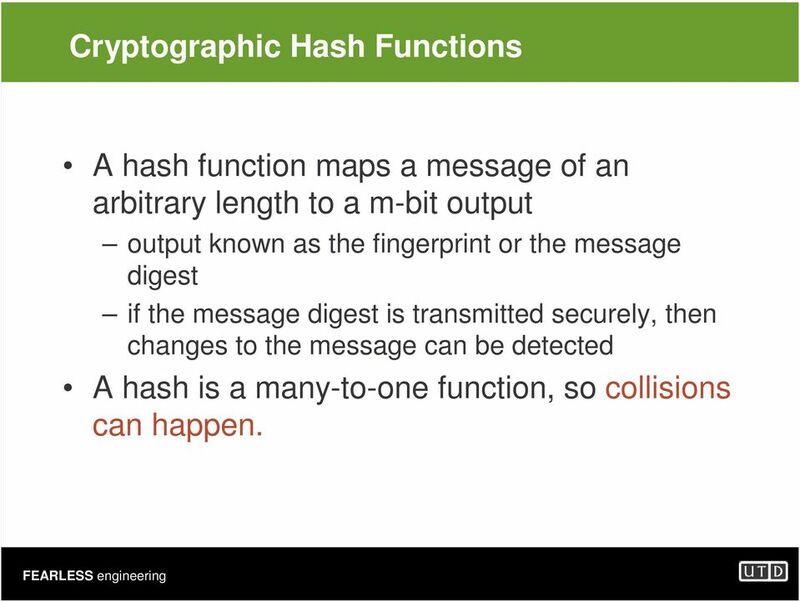 17 Cryptographic Hash Functions A hash function maps a message of an arbitrary length to a m-bit output output known as the fingerprint or the message digest if the message digest is transmitted securely, then changes to the message can be detected A hash is a many-to-one function, so collisions can happen. 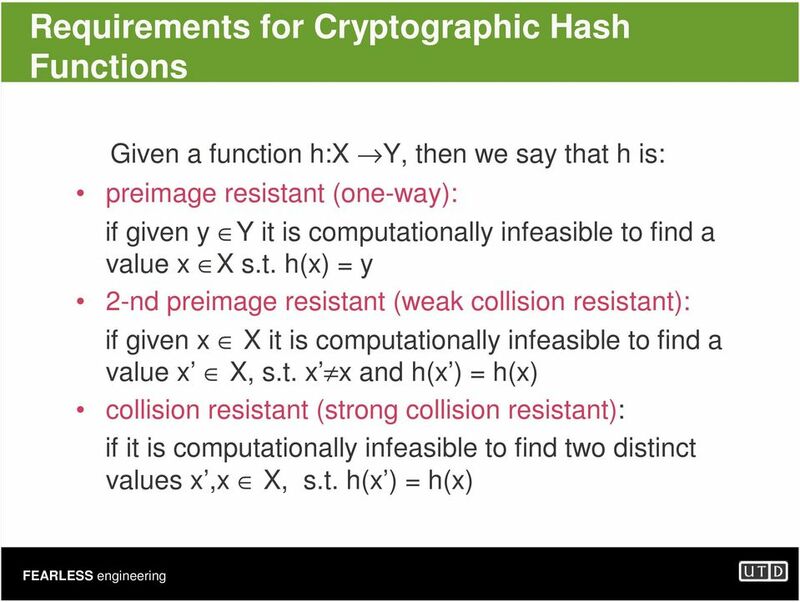 20 SHA1 (Secure Hash Algorithm) SHA was designed by NIST and is the US federal standard for hash functions, specified in FIPS-180 (1993). SHA-1, revised version of SHA, specified in FIPS (1995) use with Secure Hash Algorithm). It produces 160-bit hash values. 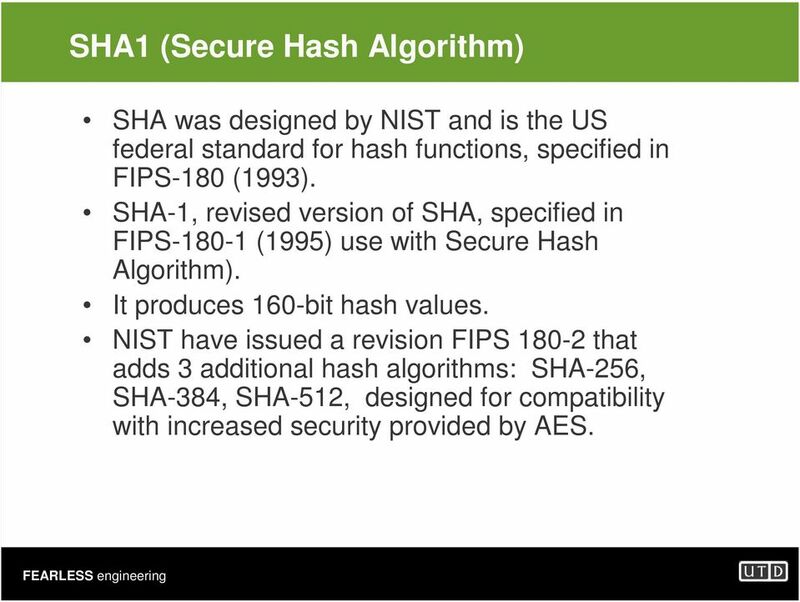 NIST have issued a revision FIPS that adds 3 additional hash algorithms: SHA-256, SHA-384, SHA-512, designed for compatibility with increased security provided by AES. 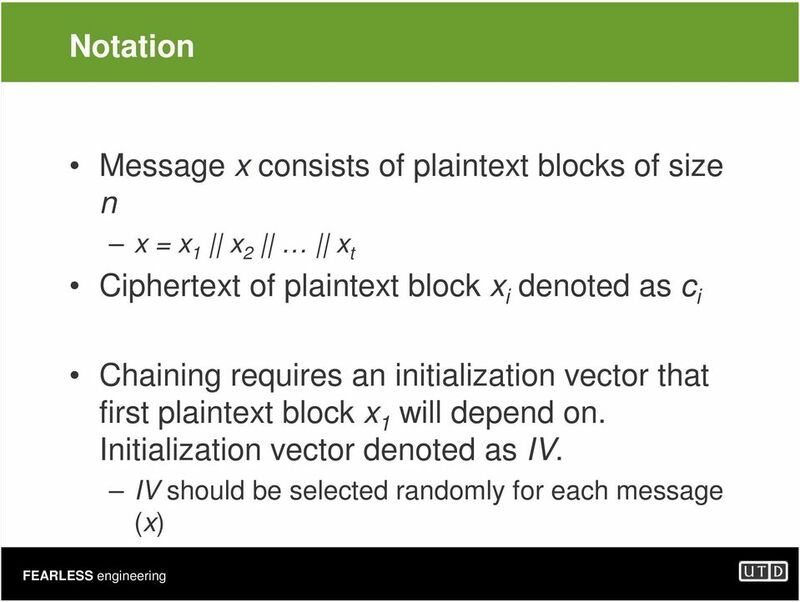 23 Message Authentication Code A MAC scheme is a hash family, used for message authentication MAC = C K (M) The sender and the receiver share K The sender sends (M, C k (M)) The receiver receives (X,Y) and verifies that C K (X)=Y, if so, then accepts the message as from the sender To be secure, an adversary shouldn t be able to come up with (X,Y) such that C K (X)=Y. 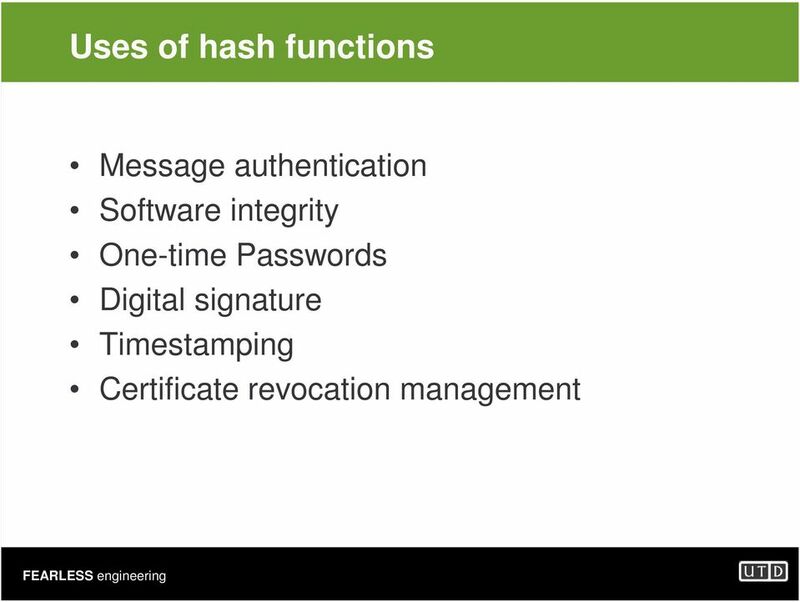 24 HMAC Goals Use available hash functions without modification. Preserve the original performance of the hash function without incurring a significant degradation. Use and handle keys in a simple way. Allow easy replacement of the underlying hash function in the event that faster or more secure hash functions are later available. 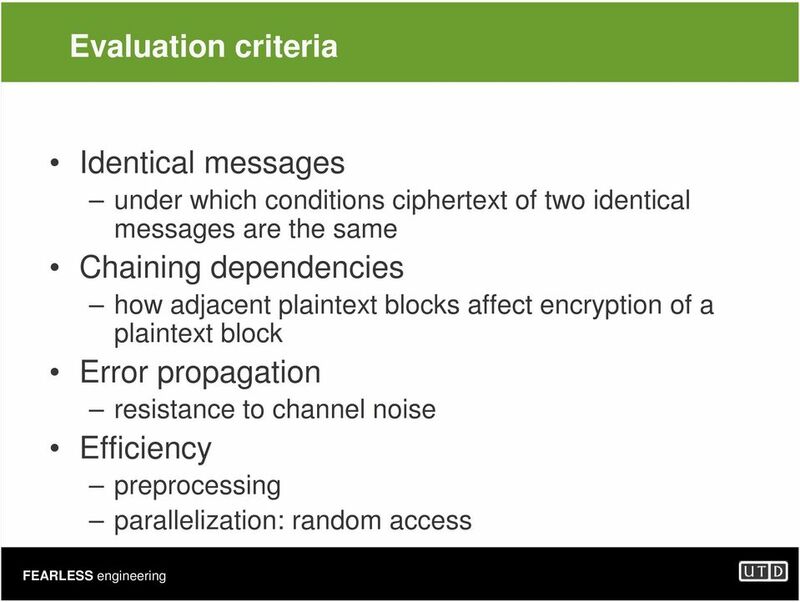 Have a well-understood cryptographic analysis of the strength of the authentication mechanism based on reasonable assumptions on the underlying hash function. 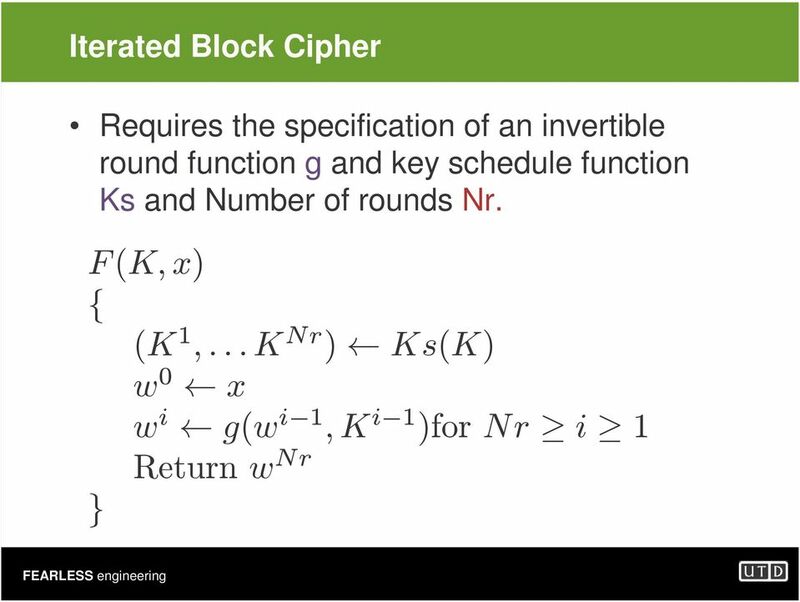 35 Implementing Cryptosystems is Hard Crypto is not easy! 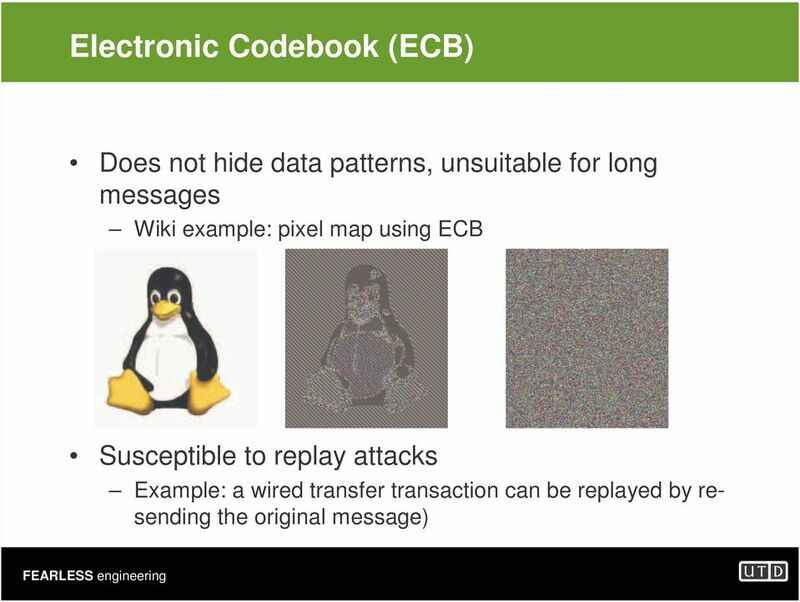 Simple changes in the algorithm could make the underlying system insecure! CryptoSystems usually fail because of implementation. 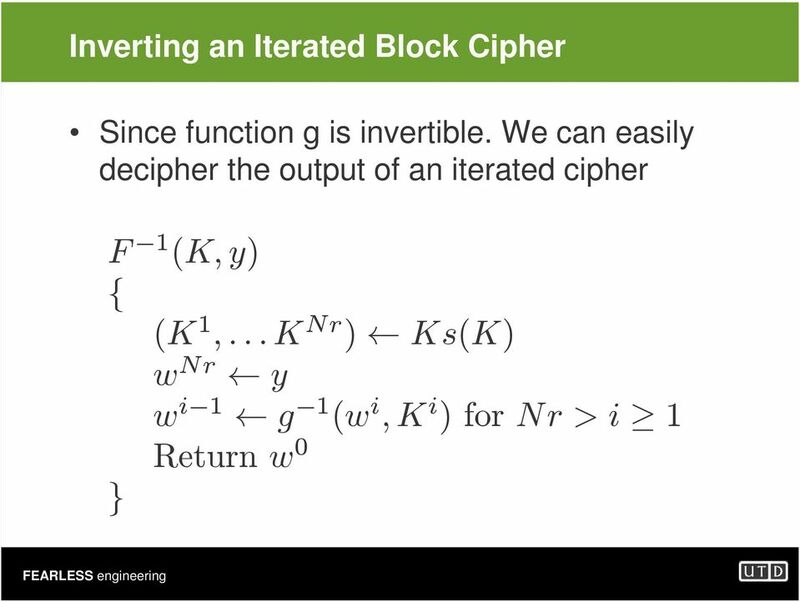 Unlike theory, in practice cryptosystems do not work in isolation. 36 Possible Implementation Pitfalls Not using publicly tested algorithms Do not use any algorithm that has not been tested by the crypto community extensively. 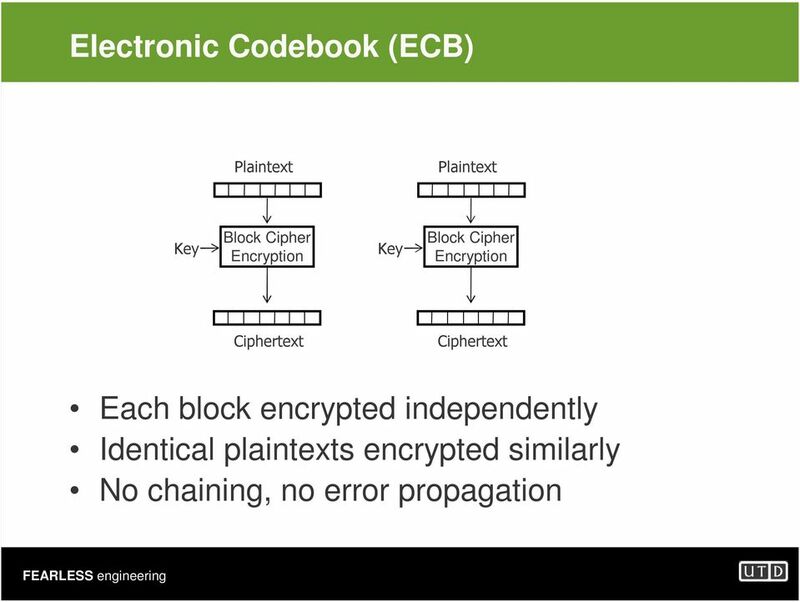 Remember what happened to original DVD encryption Not using algorithms correctly I.e., Using AES in ECB mode or RSA function directly. Not generating randomness correctly. 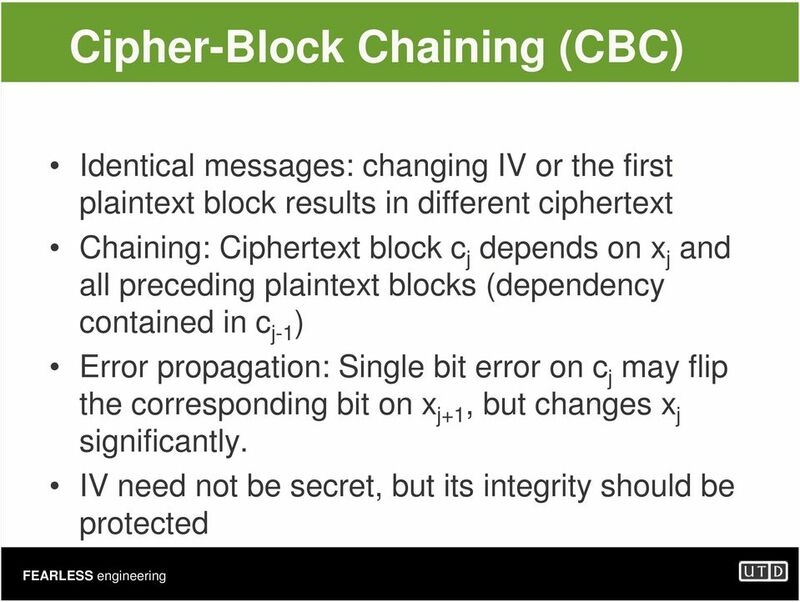 Note that CBC mode could be insecure if the IV is not generated randomly. 38 Issues Related to Key Management Secret keys should be generated randomly. Secret keys should be protected. Your implementation should not leave keys in memory. Need to consider the trust model carefully. i.e., can someone easily access the secret key files? What happens if you have trojan on your computer? What happens if there is a system failure? 39 Weakest Link: Users Users choose easy to guess passwords. Always make sure that chosen passwords are strong. They can be easily tricked into revealing passwords Consider two, three factor authentication methods. CS 494/594 Computer and Network Security Dr. Jinyuan (Stella) Sun Dept. 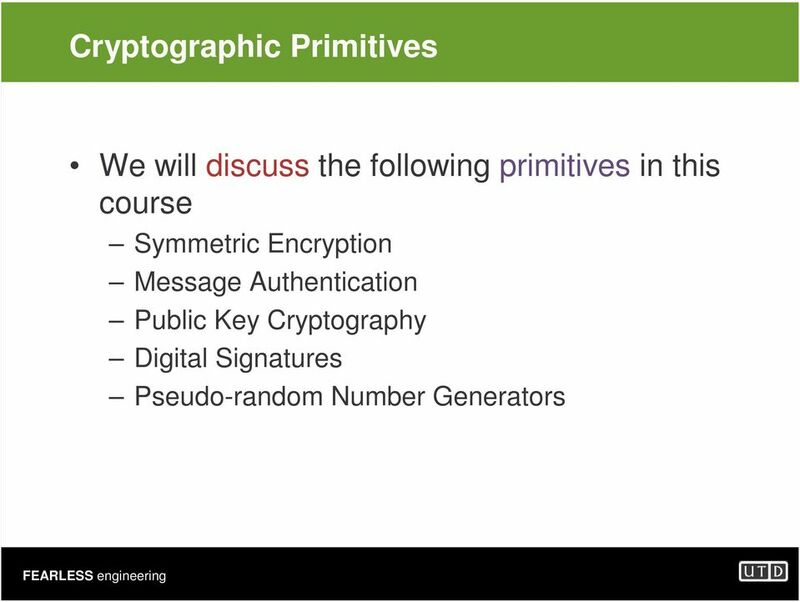 of Electrical Engineering and Computer Science University of Tennessee Fall 2010 1 Introduction to Cryptography What is cryptography? 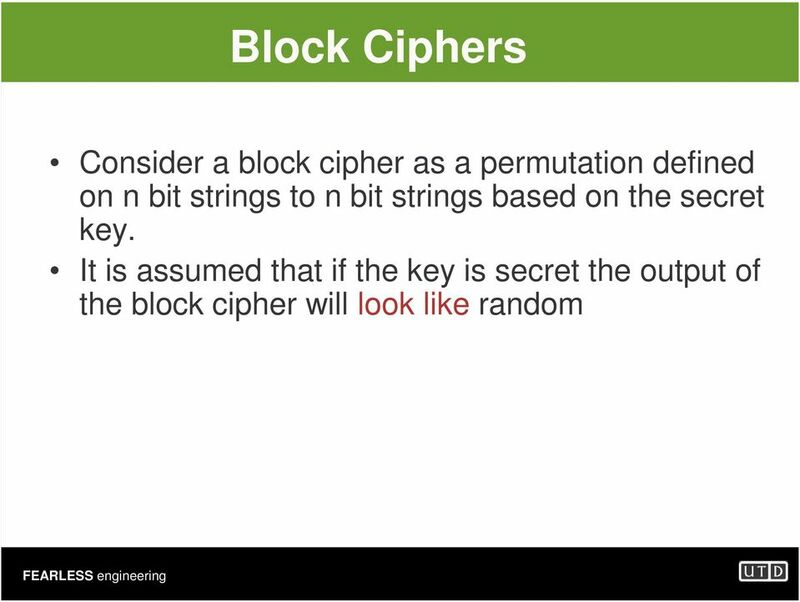 Cunsheng DING, HKUST Lecture 08: Key Management for One-key Ciphers Topics of this Lecture 1. The generation and distribution of secret keys. 2. 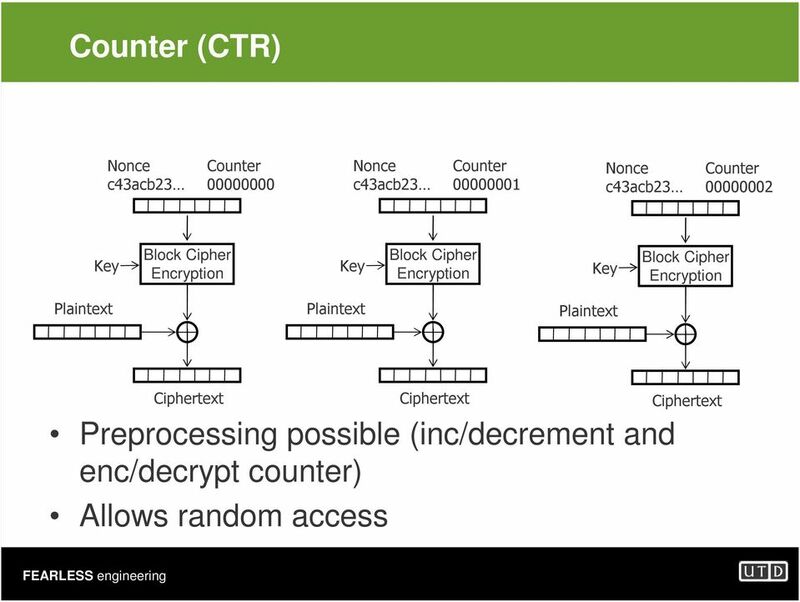 A key distribution protocol with a key distribution center. Massachusetts Institute of Technology Handout 13 6.857: Network and Computer Security October 9, 2003 Professor Ronald L. Rivest. PART-A Questions 1. Name the aspects to be considered of information security. 2. What is meant by deciphering? 3. 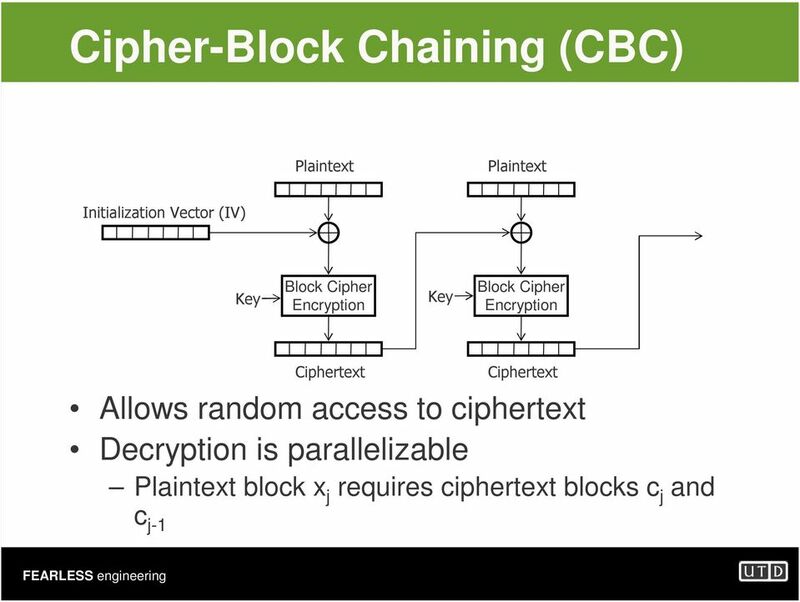 What are the two different uses of public key cryptography related to key distribution?